The brand-new Pro Float is designed specifically for women who are major snowshoe enthusiasts. The Pro Float features the technically proven Fast Fit II™ easy-pull binding and the Swift Strap™ heel strap to get you in and out of the shoe in a jiffy. The coated hardened steel crampons are built to last through years of challenging terrain and conditions. I bought these to replace my old Yukon Charlie's snowshoes that had been stolen! Charlies. I do a lot of back country photography, and love to go in winter. (OK… you found me out. Wonderland!) I’m 52 now, and expect that this pair of snowshoes will last me for the rest of my life. THAT is value! Thanks, Yukon Charlie. absolutely love these snow shoes! simply the best – superior quality! you will not be disappointed! Comfortable and lightweight, good value for the price. Love the nylon bindings. Have tried other brands and like these the best. I already had a pair of Yukon Charlies, which I was very pleased with, but they were better for trail hiking. I love the heel lift system on these–they really paid off when we were doing some back country hiking this winter. Plus, now I have a pair that I keep at our cottage and another pair that I keep at home for heading out on other adventures! We tell all our guests about your snowshoes! We have been recommending your snowshoes to our guests for years! They are sturdy, uber functional and fairly priced! We have used them for our personal use since I can remember and have logged many, many miles in North Conway on every pair we’ve owned. Stop searching the Internet for the perfect snowshoe… you’ve found it! Feel free to call us for more information about our experience with many different models. 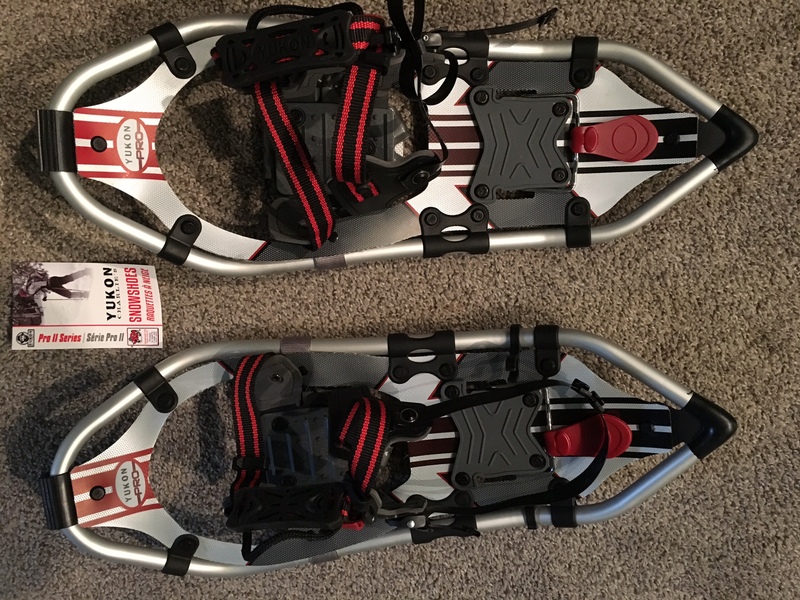 I am new to this sport wanted a way to exercise outdoors with all the snow this winter in new england, this year, have been using my snow shoes every day love them quality product!!!!! Just came if from my first show shoe adventure. I’m hooked! I’m so glad my friends encouraged me to try this out. We had a great time on the lake. Can’t wait to go again tomorrow! These women series snowshoes are great. Did lots of research and trying on different brands before purchasing and I feel I made an excellent choice. Pull bindings make them easy to get on and off. Adjustable to fit different shoe types. Have used them several times in deep fresh snow to hard packed and they worked well. Haven’t had a chance to use the heel lift yet but looking forward to using it when hiking the ski runs once the mountain closes next month. Highly recommend these snowshoes! We ended up purchasing sets for the entire family this winter and it looks like by the quality that we will be able to enjoy these for years to come. Great snowshoes! I’ve always gotten rentals and decided to invest in these. They are wonderful! Super lightweight and the heel lift is a big help. I took them up to Steamboat Springs, Colorado last week and they were perfect! Hello – My wife and I just both bought a pair of Pro II and are planning a trip this weekend. I noticed on her women’s edition, the deck says Pro instead of Pro II while the tag attached to the snowshoe says Pro II. Did we receive the correct Pro II version or an old Pro I version? They appear to be the same as the Pro II pictures on this page but with a different deck print. Please let us know. Thank you! Hi Andrew! Thanks so much for reaching out. We’ve forwarded your question on to customer service, but unfortunately, they’re already out of the office for the weekend. Tarryn will be reaching out to you directly via email to help get things clarified for you. Be sure to hold onto your original packaging, but don’t let our delay in getting back to you hold you back from getting out on the trail this weekend. She’ll take good care of you when she’s back in on Monday!